We examined the use of pharmacologic agents for the primary prevention of osteoporosis among older women with osteopenia. We found that these individuals were not managed in concordance with the National Osteoporosis Foundation (NOF) guidelines and that self-perceived osteoporosis risk and lower bone density were strongly associated with receipt of treatment. Although osteoporosis medications are used for the primary prevention of osteoporosis among persons with low bone mass (osteopenia), their use may be discordant with clinical practice guidelines. We studied women 55 years and older participating in the Global Longitudinal Study of Osteoporosis in Women (GLOW). Eligible participants had a dual energy x-ray absorptiometry (DXA) test performed at the University of Alabama at Birmingham hospital and had an osteopenia diagnosis based on their DXA test results. Participants' demographics, fracture risk factors, and exposure to osteoporosis medications were determined from the GLOW survey. We examined the proportions of women managed in concordance with the National Osteoporosis Foundation 2008 guidelines, and we assessed factors independently associated with osteoporosis treatment decisions. Women with a prior spine or hip fracture were excluded. Among 597 eligible women from GLOW, the mean age ± standard deviation (SD) was 70 ± 7 years. Among all subjects, 309 (52 %) were treated in concordance with the NOF 2008 guidelines. 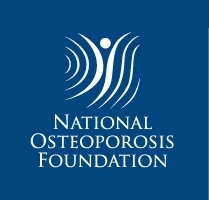 Greater self-perceived osteoporosis risk and lower bone mineral density were significantly and consistently associated with receipt of osteoporosis treatment, both for those considered appropriate and for those considered inappropriate for treatment based on the NOF guidelines. We found significant discordance between NOF 2008 guidelines and pharmacologic management of women with osteopenia. 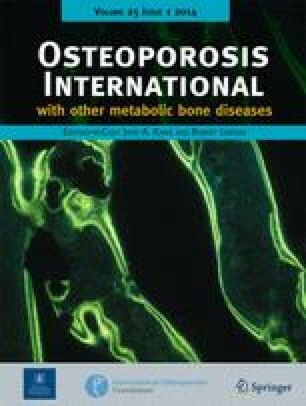 A person's self-perceived osteoporosis risk and bone mineral density were most strongly associated with receipt of osteoporosis medication use among women with low bone mass. JZ has received research support from Amgen and Genentech; ED has received research support from Amgen; JRC has received research grants and honoraria, and consulted for Merck, Eli Lilly, Amgen; KGS has received research grants from Amgen and Merck and consulted for Merck and Lily.